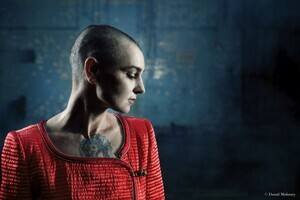 Posted in Misc and tagged Donal Moloney, Sinead O'Connor at 2:10 pm on July 25, 2014 by Broadsheet. Was the B&Q on her face not real then? (Also, love everything about this woman). Wasn’t she saying earlier in the year she wanted them removed? That she does, Axl Rose’s arm creeping out of her coat notwithstanding. The B and Q were still there (though faded) when she played in Westport last month. Hmmm… my attempt to link to an example photo didn’t work. What happens if I just paste in the URL? Another contender for the silver surfer award. If the new album isn’t covers of Bruce Springsteen songs I will be very disappointed. I think Sinead is more of a mouth piece then a musician these days. Yes some of her early work was very good but her new album is terrible and her launch song from the album is the same as a recently launched song from a very talented Irish artist, Hozier. It’s the same song or just the same title? Its the same title but a completely different song, and as it happens a very good song. i didn’t dislike her take me to church at all now. I thought it was terrible and the mix on it sounds very raw. You must be joking…..the album she released two years ago was the best Irish album I’ve heard probably in the past fifteen years. Have you listened to it? I thought most of it sounded like paddywackery shite, but music is subjective so thats just my taste, but that album and the current one could do with some mastering as the mixes on them sounds piss poor. I really like the photos, but I disliked take me to church.